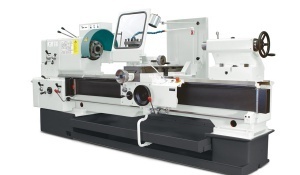 SN 71 C is universal centre lathe designed for piece and small-lot production for turning workpieces of bigger dimensions.It is suitable for maintenance and repair divisions as well. It has wide range of operational speeds and its unique execution ensures high stability in material machining. trens jsc. has a long-term tradition of machine tools manufacturing in czechoslovak period bearing the original trade name tos. the recent production focuses on high quality turning machining centers, cnc lathes and conventional center lathes delivering to the european and world markets for more than 55 years.